The elegant handmade Bordeaux Grand Cru glass of the first-class glass collection RIEDEL Superleggero is a luxury item for everyday use. The large bowl brings out the full depth of contemporary wines made from Cabernet Sauvignon, Cabernet Franc and Merlot. 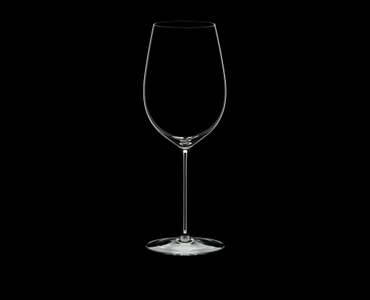 The RIEDEL Superleggero series is lead free and features slimmer aesthetics and super light design - as reflected in the name. To celebrate the unique glass series the designation of the series can be found on the base next to the RIEDEL logo.